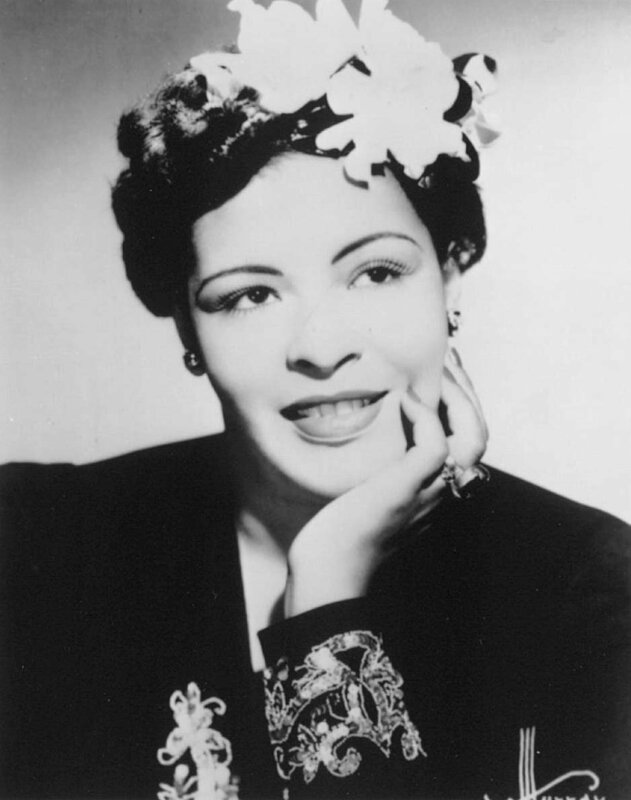 Nicknamed Lady Day, Billie Holiday is a music legend known mainly for Jazz music. She was born on April 7th, 1915 which would make her 100 this year. However, she passed away on July 19th, 1959 at age 44. She spent much of her early life in Baltimore and New York moving from place to place due to various incidents in childhood. From a young age, she loved singing but didn’t start performing until she was in Harlem. There, she began performing at night clubs. Later, she began working with various artists, labels and mentors. Someone she worked with, and was quite close with, was Lester Young. He was the one who initially gave her the nickname, Lady Day. 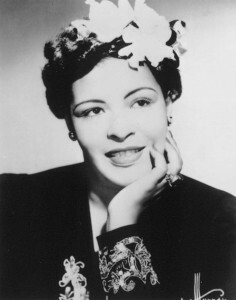 A very notable and controversial song of hers is called “Strange Fruit”. It takes on the topic of the lynching of black people during the time period. Putting such a song out in the world, especially at the time, was a real risk. Clear similarities between Billie and myself include our gender and love for music. Also, I am currently reading her story, Lady Sings The Blues where, I found that her and her mother had a very strong relationship. This is something I relate to because having a good bond with my own family is a value of mine. Billie and I also have a variety differences. One would be that we are from different time periods. Today at my age, I am still a kid doing silly, childish things but during Billie’s time, she was already a “grown up” at 10 years old. Another difference is that we have different ethnic backgrounds, as well as she had to deal with a lot of racism, something I am not personally familiar with. In terms of my goals for the project, I am focusing on both my learning centre and the interview. 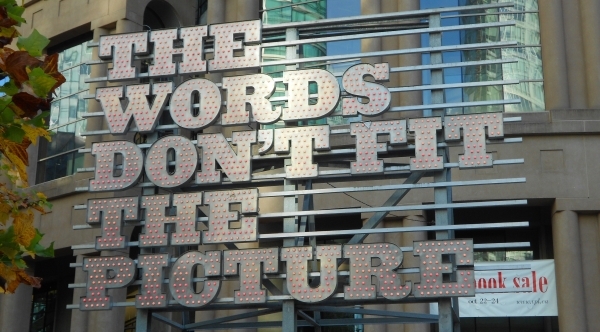 When it comes to my learning centre, I want to create a station that is engaging for passersby. I am trying to stray away from my usual neon poster board covered with way too much text. With the interview, I really just want to get better at asking questions and having conversations with people. In the future, I am looking to be a journalist, so practicing interview and questioning strategies would be useful. A question I am currently asking myself is, what parts of Billie’s story do I want to elaborate on and what parts would I rather keep to a limit? Though I am still at the early stages of research, I am already finding a lot of information on Billie’s personal struggles such as the abuse she received as a child and her battle with addiction as an adult. Both of these things build character in her story and make her who she is, but I am unsure how much of this I should include. What would be the proper balance? Speaking for myself, if one day someone did an eminent person project on me, I would not want them focusing on all of the negatives in my life. Instead, I would want them to celebrate my success and what I did right. This is my goal for telling Billie’s story. I plan to touch on her struggles but I would much rather spend time shining light on how she made a difference in the world. I was able to find three resources on my eminent person during this trip. 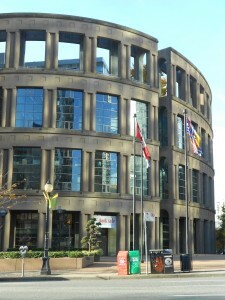 One from MacLeod Books, and two others from the Vancouver Public Library. It did take patience to search for the correct books, but I think it was worth it. 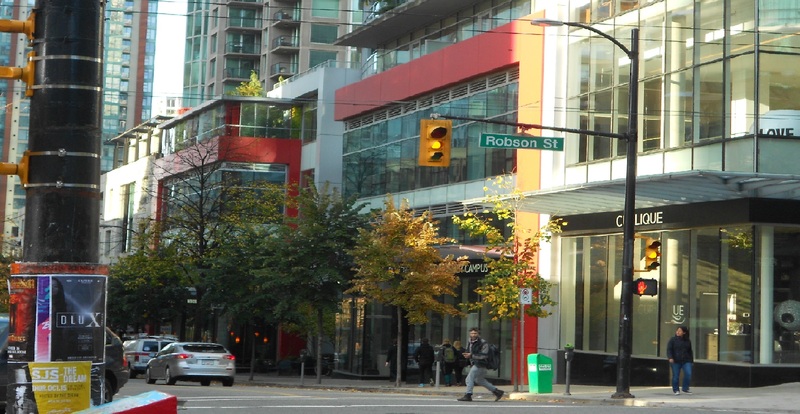 During my solo walk, I got a chance to people-watch and see the Vancouver lifestyle. I decided to stand at the corner of Robson and Homer at 9:30am. For the most part, everyone walked alone, coffee in hand, with their headphones plugged in. They all seemed to know their purpose and definitely walked with authority. There was such a wide range of people: businessmen talking on their phone wearing suits, a woman in high-end fashion walking her small dog, two tourists in their worn running shoes taking pictures of their surroundings. Whoever it is, if you want them, Vancouver has got them. 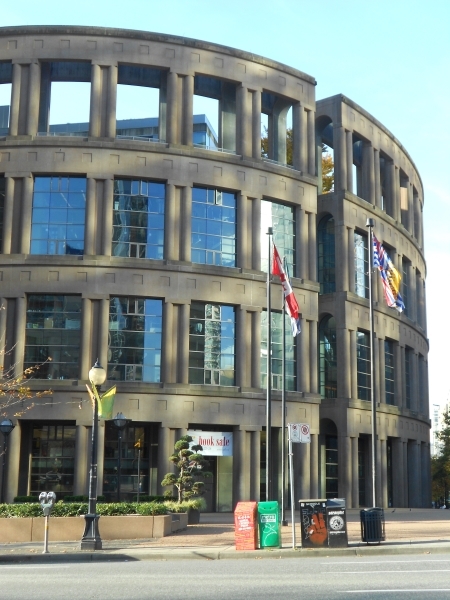 Both MacLeod’s Books and the Vancouver Public Library were new to me and they exceeded my expectations. When I walked into MacLeod’s I was overwhelmed with the smell of old books. A variety of titles covered the whole store leaving little room to walk. A book lover’s heaven. Though I found myself feeling claustrophobic, I thought the store was unique. 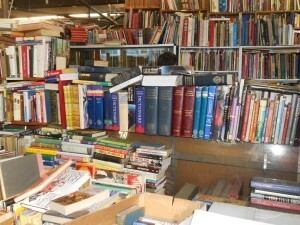 With the amount of books there, I could get lost in that store for hours (metaphorically). The library on the other hand, well I could actually get lost in there–it’s huge! 7 floors of books, that’s pretty crazy. The library was beautiful. The place was nice and spacious–something I needed after MacLeod’s. Plus, everything was so neat, tidy, and organized. Other than the few times when I started thinking about what would happen if the building caught fire, I found walking around the library very calming. I thought the trip to Vancouver was overall, a great time. 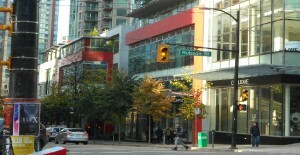 I was able to get resources for eminent, observe Vancouver lifestyle, and visit new places. Plus, all of the excitement of the day tired me out enough to have a nice, deep sleep. Vancouver Trip = Success! What I am curious about is the importance of religion during the time period and the fact that something like religion could cause such a huge war back in the day and still causes conflict now. Like race, religion was something that really divided people during the 1600s, especially because of the Catholic vs Protestant conflict. Some areas nowadays are more tolerant of each others religion, while other areas continue to be separated due to it. What makes people in some areas of the world more tolerant than in the past? On the other hand, what is it that has people continue being as intolerant as they were? Was it a person, event, or just a way that society did or did not change? In some areas of the world, I believe it is related to the government’s separation from the church. This has an effect on the public, making them more accepting of others beliefs and opinions. Next up: parliament. Charles I was quite wishy-washy when it came to the parliament. One minute he had them, the next he did not. Being the stubborn, overly-confident man he was, he only got parliament back together when he needed money. He used them. Now, let’s say that Charles had the money and didn’t need parliament’s, would he have still been in power as long as he was? Could he have ruled, entirely, by himself? Other than financially, how much of an effect did parliament really make on the events that happened? Finally, why execution? In 1649, Charles I was sent to trial accused of committing treason. Quickly, he was found guilty and was beheaded, executed, or simply dead. How do we justify whether this is right or wrong? Those who stand on the side for execution may say that execution just ends it all. That the wrongs a person commits doesn’t give the person the privilege of life any longer. 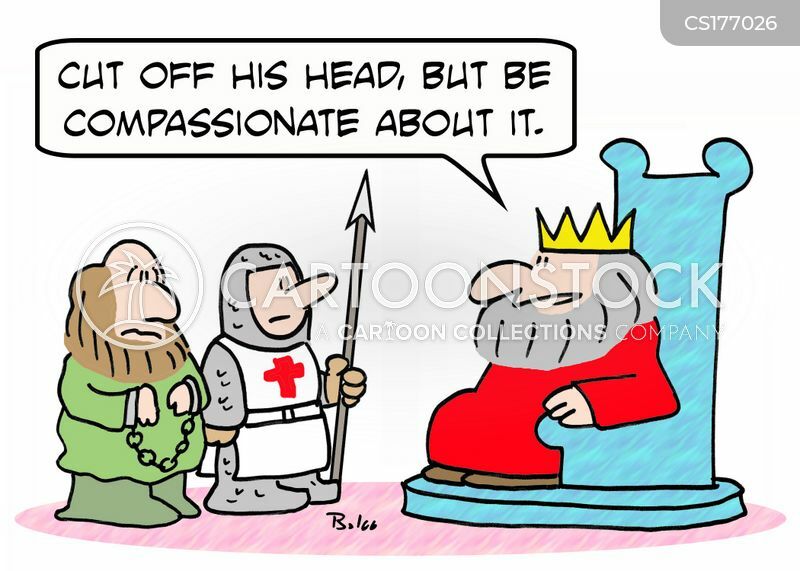 Maybe some think execution is smart out of the fear that the person will do wrong again. Out of the possibility that the wrong do-er will hurt them or their families. I stand on the side that execution isn’t the answer. I personally believe some people deserve second chances to make thing right. A form of punishment is important to teach the person a lesson, but if they’re dead, what do they learn from that? Some people may not take the opportunity to change for the better, but the chance should still be available to all. Like with religion, I again ask: What has changed to make execution not the only punishment today? Did this have to do with people straightening up their morals? Maybe people are now more giving with the opportunity of life. Alternately, some could argue that there are punishments more painful that death. Could this be why execution isn’t a common punishment? Because to some, death is too easy? Also, how much of an effect did religion have on this change? The questions relating to execution are my favourite because the answers are quite subjective. Whether or not you agree with the punishment relates entirely to one’s beliefs and morals. I think it would be quite interesting to hear other’s thoughts on execution and their justifications on whether it is right or wrong.